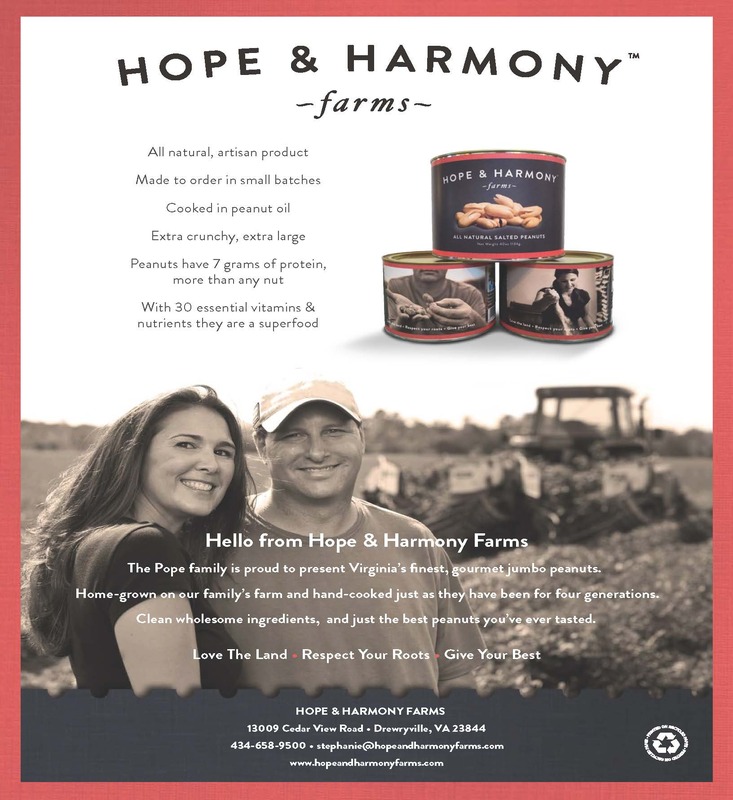 Who are Hope and Harmony Farms? 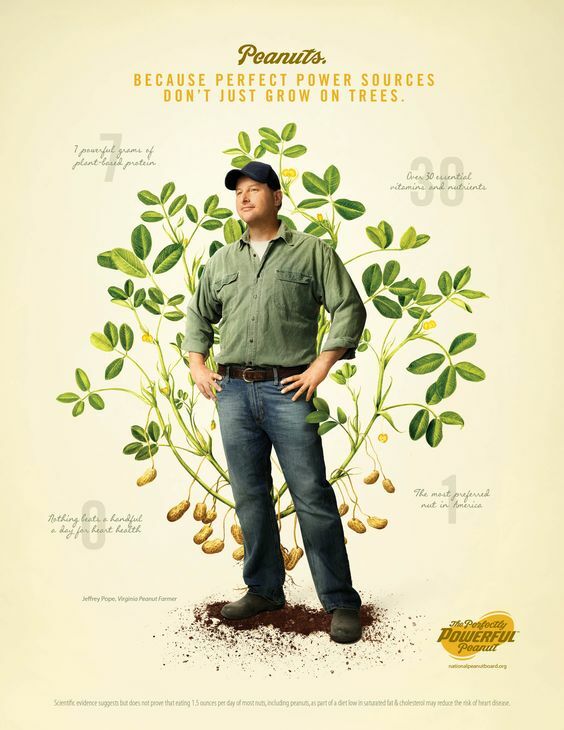 Fourth-generation peanut farmers, the Pope family is passionate about peanuts. We grow and sell Virginia Peanuts from our family farm in the small town of Drewryville in the heart of Virginia itself. Formerly known as Royal Oak Peanuts, Hope and Harmony Farms ships gourmet peanuts straight from our farm to your doorstep. From the “super extra-large” peanuts we roast and season by hand, to fresh from the field, in-shell raw peanuts, Hope and Harmony picks and packages every peanut with care. We grow and cook our peanuts in small batches just like our great-grandparents used to do, so you know there’s nothing going into them that shouldn’t be. Virginia Peanuts are known for their distinctive size and crunch, and there’s just no substitute. Perfect for snacking, roasting, and confections, the nutty flavor of Virginia Peanuts is sure to make a lasting impression that will keep you coming back for more. Peanuts are more than just tasty- packed with more protein than any other nut, they make a great heart-healthy snack. With over 30 essential vitamins and nutrients, peanuts are practically a superfood, so swap that bag of potato chips for a handful of gourmet Virginia Peanuts! Our motto at Hope and Harmony Farms is “love the land, respect your roots, and give your best” and we infuse every product we harvest and sell with that belief. 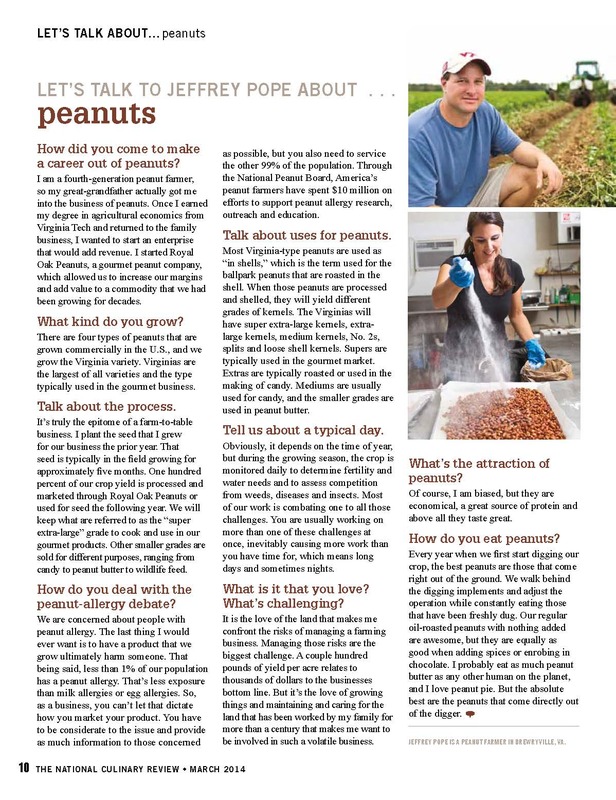 We want to share our love for Virginia Peanuts with the world, and every home-grown and hand-cooked peanut you purchase includes with it a little bit of our family’s passion. We can just about guarantee they’ll be the best peanuts you’ve ever tasted.